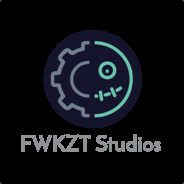 FWKZT Official Forums Announcements News Weekly Member Game and Discord Nitro Giveaways Starting Monday! Hey everyone! Beginning on 1/7 we will begin having weekly and random surprise in-game giveaways for community members and above! These giveaways will include a wide variety of things including games, Discord Nitro, Twitch Prime and in-game cosmetics or GP! The only requirement for this is you must be an official fwkzt member by applying on our forum at https://fwkzt.com/forum/Forum-Members-Forum and following the application provided. Members not only get access to giveaways but it also allows you to have access to exclusive access to new gamemodes for playtests and !votekick when admins are not active.